We work hard to bring you the best and most diverse types of services within the remodeling industry. Select a service below to learn about our capabilities. 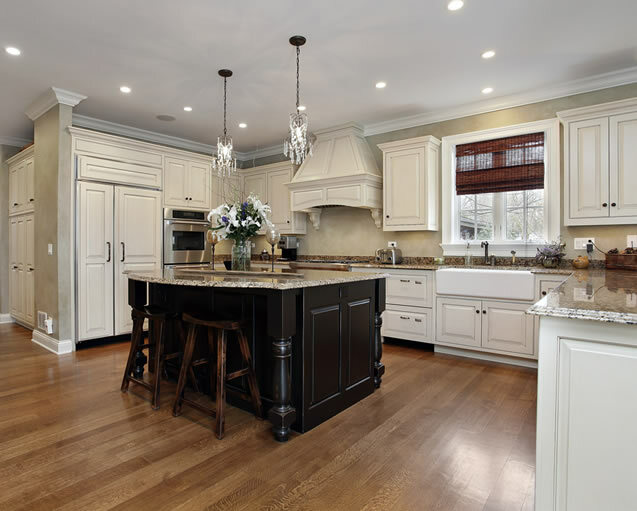 We take great pride in the quality and selection of the kitchen cabinets we offer our customers. We can provide custom cabinets, semi-custom cabinets and prefabricated kitchen cabinets. We will work with you to design the perfect cabinet layout that is aesthetically pleasing and functional. Besides cabinetry, nothing helps a kitchen come to life more than stunning countertops that make a statement. At Versatile Renovations we strive to offer an impressive selection of countertops that come in all different styles, colors, and textures. From Marble and Granite, to Quartz and Caesarstone we can fabricate and install the perfect kitchen countertops. Nothing brightens up your new kitchen better than the perfect flooring material. Versatile Renovations can help you select the right flooring materiel that fits with your kitchen remodel design. We work with tile, hardwood, natural stone, laminate and other various flooring materials. New kitchen appliances are what makes the magic happen in your kitchen. We can work with you to pick the right kitchen appliances that are within your budget. We have a wide variety of kitchen appliance suppliers we work with and can even possibly get you some discounts. Once you’ve picked your new appliances we will install them as part of your kitchen remodel. 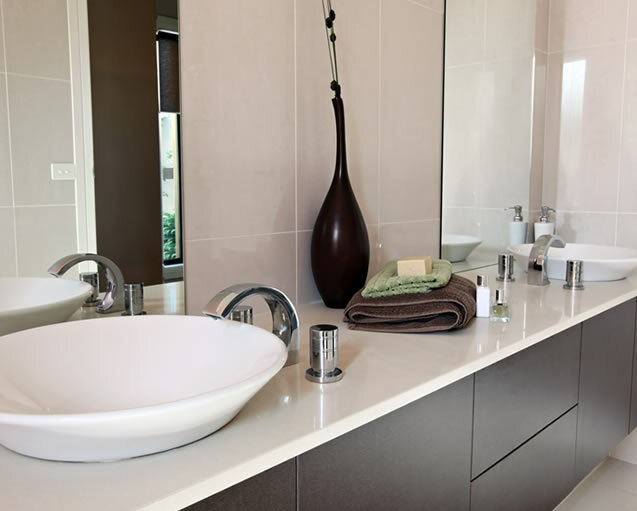 We strive to offer the highest quality bathroom vanities available on the market. Our customers enjoy the best selection from top of the line manufacturers of every style of bathroom vanity. Our staff is fully trained and well versed to recommend the best suited products to individualize your buying experience. Choosing a new bath tub or shower enclosure is one of the more exciting remodeling decisions. This is your chance to get rid of that old, small shower or tub and upgrade to something rejuvenating, something massaging, something that makes taking a bath or shower more enjoyable. From custom walk-in showers to soaker tubs Versatile Renovations can build your dream bathroom. When you’re looking for great bathroom flooring ideas, Versatile Renovations can make your selection an easy one. Many flooring options offer both durability and aesthetic appeal, but you also need one that will hold up in a high moisture environment. We can guide you and recommend some of the best bathroom flooring options on the market. Picking your bathroom plumbing fixtures is always a fun thing to do. We will work with you to find you the best quality bathroom fixtures from rough to finish. Once the bathroom is in its final stages of being remodeled we will install all your new fixtures. Versatile’s qualified house painters possess the necessary skills for proper surface preparation, and understand the broad range of paint and coating varieties. Our skilled and accredited painters can diagnose and solve the unique challenges of each project. With extensive painting experience in all types of residences, from high-end homes to luxury properties Versatile takes every precaution. Versatile Renovations is EPA Certified, and uses environmentally friendly techniques and paints with low V.O.C. Versatile can refurbish your old deck or other wood surface and make it look new again. Depending on your application, we pressure wash your wood surfaces with either a light wash or chemical strip. We use only top of the line products to stain, seal and protect your wood surfaces for years to come. Versatile removes wallpaper according to the surface it’s adhered to. Wallpaper adhered to drywall is only removed with steam and DIF-gel. No scoring tools are used unless necessary, because they leave teeth marks in the drywall paper layer. Our painters provide superior surface preparation so your finished paint job is completed professionally. Drywall repairs are fairly simple to complete but there are definitely tricks of the trade, and key things to do in order to keep things clean! Whether it’s a nail pop, corner crack or tape seam failure, Versatile can fix it. No matter how big the hole, our residential painters provide superior drywall repair services. In addition our professional plasterers can change the quality of your walls and ceilings by adding a detail, smooth finish (skim coat) in a variety of options that can fit your budget. Versatile Renovations is located in Brooklyn NY. We have been in business for more than 10 years, proudly serving the New York Tri-state area, for home renovations and remodeling services. We understand that your home remodeling project is an investment, that is why customer satisfaction is our mission in order to create long lasting relationships with clients.